ZIMBABWE had started an inquiry into allegations that diamonds worth $15bn had been stolen from the country’s Marange mines, said mines minister, Winston Chitando. “The mines and energy parliamentary committee is running with an inquiry at the moment,” said Chitando on the sidelines of the Harare Indaba, an investment conference held in Johannesburg. “They are calling people for interviews and discussions. I can’t comment further because they are doing their work,” he said. The Marange diamond fields are about 90km south of Mutare West in the eastern part of Zimbabwe. Estimates vary, but it is thought the area has yielded some 16 million carats of diamonds. Unfortunately, the region has long been associated with smuggling. In 2016, Mugabe attempted to nationalise the diamond fields. Newswire service, AFP, reported last week the comments of David Kassel, chairman of Grandwell Holdings which owns half of Mbada Diamonds, who said during a committee hearing that “… at least 200 police officers in mafia style stormed their offices in 2016 and looted gems worth millions”. Earlier this month, Zimbabwe president, Emmerson Mnangagwa, named hundreds of mines, Chinese businesses, and individuals who had illegally transferred foreign currency abroad during the administration of former president, Robert Mugabe. This came after the expiry of a three month amnesty for the return of funds including export proceeds, payments for phantom imports and “… funds transferred to foreign banks in cash or under spurious circumstances,” said AFP. Authorities say Zimbabwe lost at least $1.4bn in revenue as a result. Speaking at the Harare Indaba, Temba Mliswa, chairman of the mines and energy portfolio committee, said the diamond theft needed to be resolved. 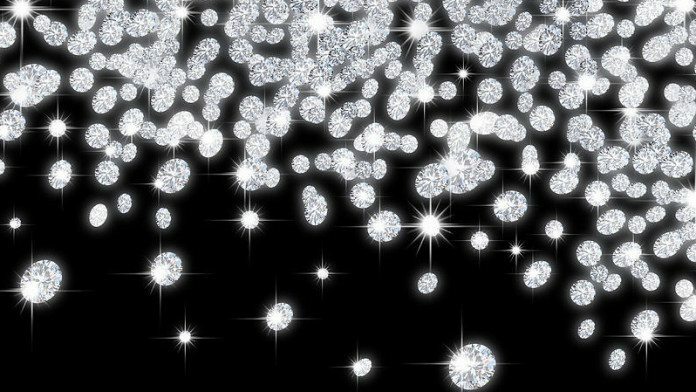 “We need to get to the heart of these $15bn in stolen diamonds. It is incumbent on Parliament to conduct an inquiry into the theft,” he said. “We have to ensure that there will be compliance. You ignore the power of Parliament at your own peril,” he said. Mliswa also said that Zimbabwe was working to break-down the perception that the country was irrevocably corrupt. For every corrupt official there was a corrupt investor, he said. “Don’t corrupt our people,” he said. “What I’d like the President to do is that if you are seen as a corrupt investor, the official is sent to jail and the investor kicked out. We are all responsible for the past, but we are also responsible for the new dispensation,” he added. An inquiry that will only investigate those not protected by ED. They have all had their grubby hands on the looted diamonds. They have all stolen from the people of Zimbabwe, they are all enemies of the nation.